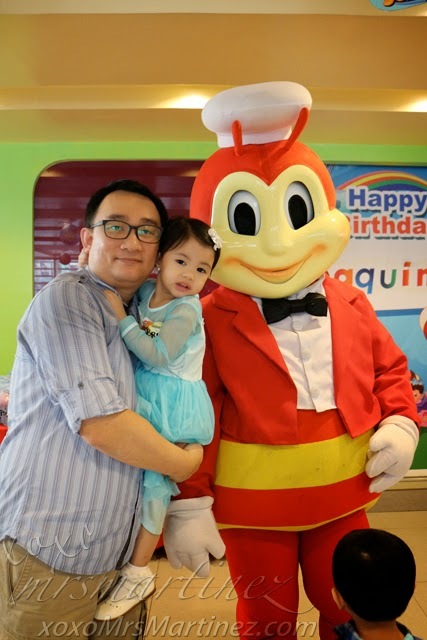 After attending a lunch time Winx Club party two Sundays ago, we went to Jollibee to celebrate with DH's side of the family. 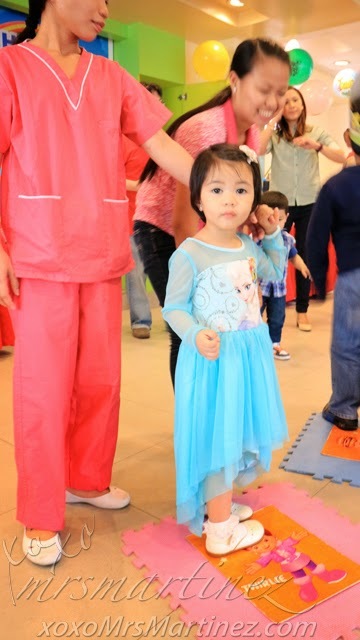 It was held at E. Rodriguez branch where my daughter celebrated her Hello Kitty birthday party last year. The venue was not as crowded as her party (we had 161 guests at that time!) and the female host was quite pleasant than the male one that we had. 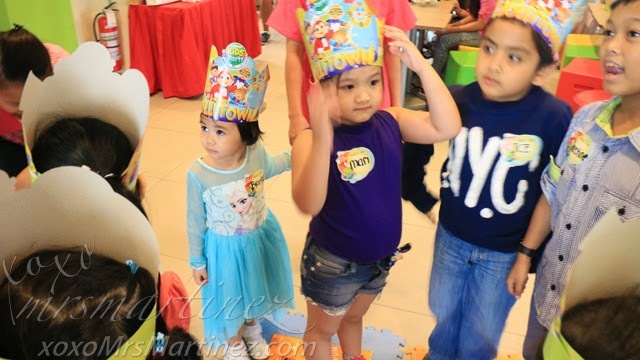 Read about her Jollibee Hello Kitty Birthday Party Experience here. 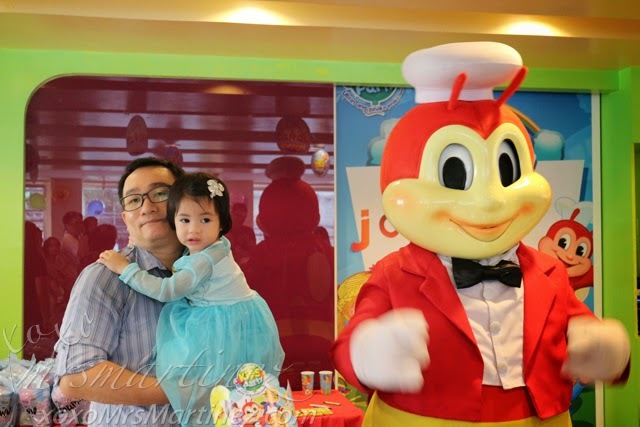 One thing didn't change though and it was her fear of the moving and dancing Jollibee. Nakasmile nga pero todo kapit naman kay Pappy! See that tight hug?! 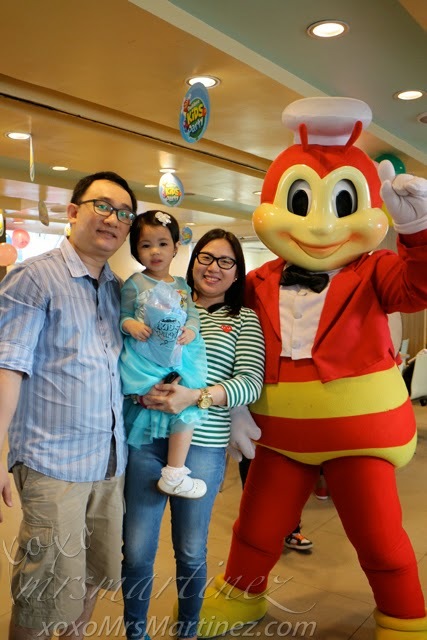 This was the best family photo with Jollibee that I can find on my camera. It was taken by yaya and it was out of focus... wawa! 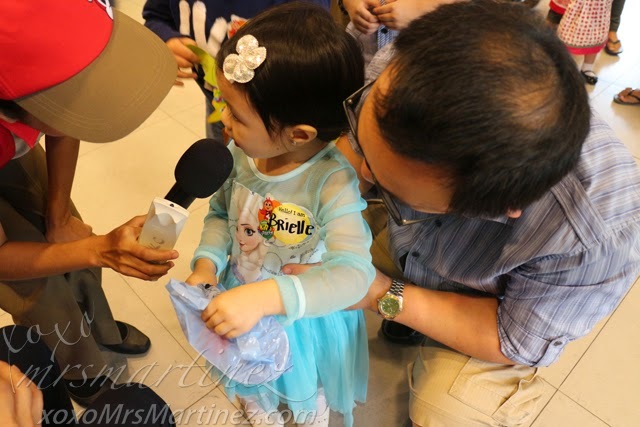 I am happy to see that she is learning how to interact/socialize with other kids. She is slowly overcoming her shyness and she is learning how to play fair and accepts that sometimes you win some, you lose some. 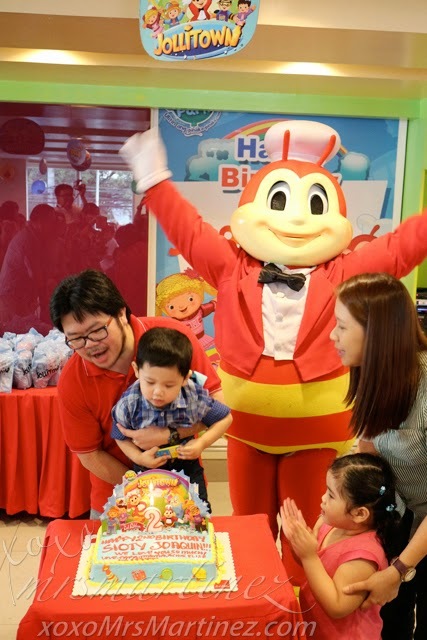 Jollibee is located at the corner of E. Rodriguez and Sta. Cecilia St., Quezon City. For reservations, please call 7226081 and 7242088.